You might be excited about the new rumors dropping for the upcoming iPad Pro refresh, but I’m here salivating over the crumbs of info regarding the next Apple Pencil. To be frank, they’re not particularly filling: Monday’s report from 9to5Mac mainly claimed the next stylus would be easier to pair with an iPad, much as we see with the AirPods and HomePod. That’s cool and all, but the more I think about it, the more I’m surprised this feature wasn’t in at launch. I’m not surprised the details are so scant. After all, the Apple Pencil is already close to perfect. The heft is spot-on. It comes closer to translating the feel of a real pen or pencil than any other stylus I’ve used. I feel as though I’m creating something, rather than merely using a tool for input. And yet, for all that, I know there’s still some room for improvement. I’ve been using the Apple Pencil fairly steadily for well over a year now, and these are the features I’d like to see most of all. I’m not as much of a foe of the current method of charging the Apple Pencil as you might think. Sure, sticking the Apple Pencil in the iPad’s Lighting port makes the entire setup look like a $500 Southern church hand fan, but it also nixes the need to carry a cord (provided the iPad itself is charged). It also evades design complications that would ruin that wonderful heft. And anyway, much like the Magic Mouse, the Apple Pencil charges super quickly so you don’t need to keep it that way for long. Go ahead. Laugh. We know you want to. But yes, it could be better. One solution would be to introduce the next Apple Pencil with a female Lightning connector so you could charge it with a cable like almost every other iOS-compatible device. The Logitech Crayon charges that way and it works fine. For that matter, Apple could introduce wireless charging for the Apple Pencil, much as it’s rumored to do for the AirPods’ charging case. I especially like that idea: Putting down your Pencil on the pad would feel a bit like putting pens in a penholder on your desk. All the same, it’s kind of annoying to pick up an Apple Pencil in a flush of inspiration and realize the battery is dead, particularly since you have no easy way to check it. Essentially, aside from simply tapping the screen to see if the Pencil works, the only way to check the battery is to swipe over to your notifications panel and consult the battery widget there. I’d be willing to bet that it will stay this way. Adding any kind of feature like this runs the risk of diminishing the the grace of the Apple Pencil’s design. A possible solution would be to include a charging light that’s hidden under the cap along with the Lightning connector, similarly to what we see in the case for the AirPods. Much as in that device, it’d get the job done without being intrusive. The Apple Pencil is remarkably different from many styluses that came before it in that it has a fairly “sharp” point. For the most part, styluses resembled fingers more than actual pens or pencils; at worst, they felt like scribbling with crayons that someone had mashed past the point. 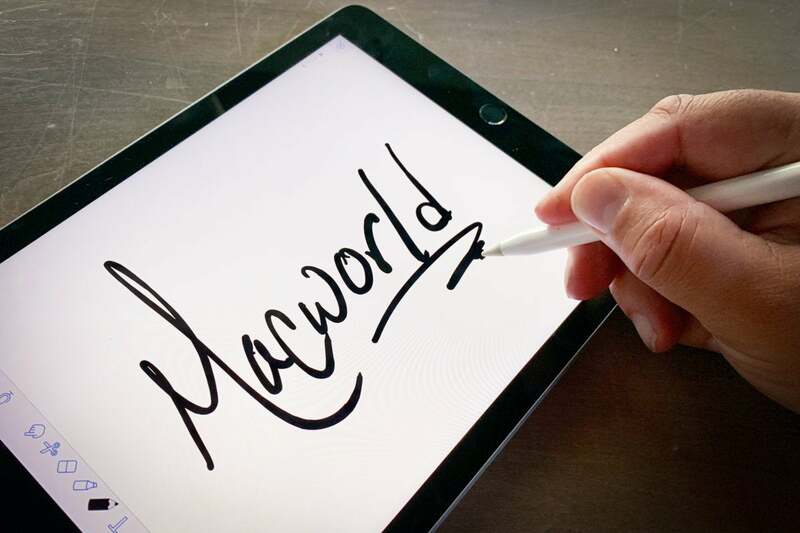 The Apple Pencil’s “sharp” tip is a big part of what makes it a joy to write with. No, I’m still not happy. And yet, well, it’s not sharp enough. I’m used to writing with quality pencils—be they Blackwing 602s or pricey Caran d’Ache Swiss Woods—and it’s immensely satisfying to put one of those to paper after a fresh sharpening. The line does exactly what you want it to do. For writing, at least, the Apple Pencil isn’t quite there yet. 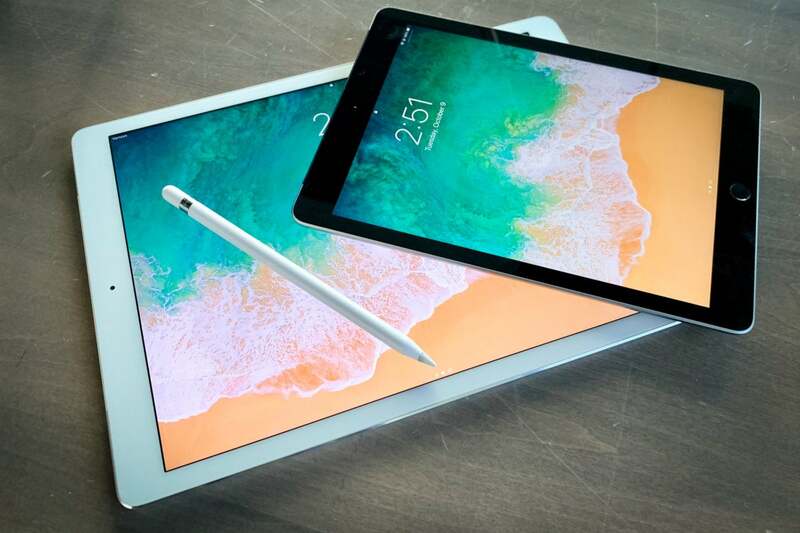 It’s close—and the digital line performs as well as it probably can—but physically, the Apple Pencil still feels like a pencil that’s been dulled by heavy use. In fact, it feels more like a paintbrush (and that may be what Apple is going for, considering the artistic focus of the ads). A more precise rubber point would allow to Apple Pencil to more accurately capture the experience of using a premium pencil or pen. Implemented well, that would benefit writers and artists alike. But it’d be really great if we had some means of erasing with the Pencil itself aside from activating a separate tool in an app’s interface. As it currently stands, the smoothest method for erasing is to set finger touches within an app to erasing (while keeping actual marking limited to the Pencil), but there are times when even that isn’t precise enough. Some styluses allow shifts from marking to erasing with separate buttons on the stylus itself, but that would compromise the Pencil’s existing design. I firmly believe that maintaining the feel of a pencil (or brush) takes precedence over pimpling the Apple Pencil with tiny buttons. I see this as a low priority. 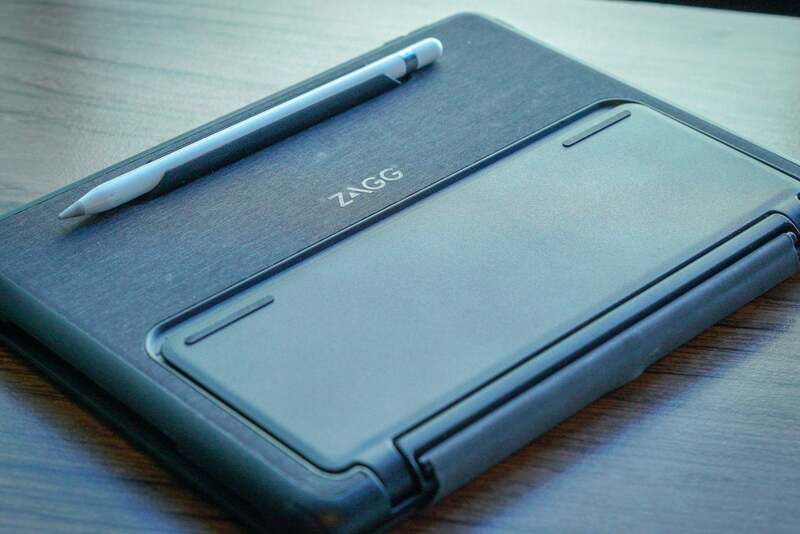 Still, if you’re going to design a $100 stylus to go with your highly advanced tablet, wouldn’t you want to give your customers a safe place to store it? I typically use a sleeve with my iPad rather than a case, and so I often end up just tossing my Apple Pencil in my bag like any other pen. I’ve even been known to carry it in my shirt or pants pocket. Somehow I’ve never lost it. If you want a place to reliably stow your Apple Pencil, you’ll need a third-party case. This isn’t ideal, to put it lightly. 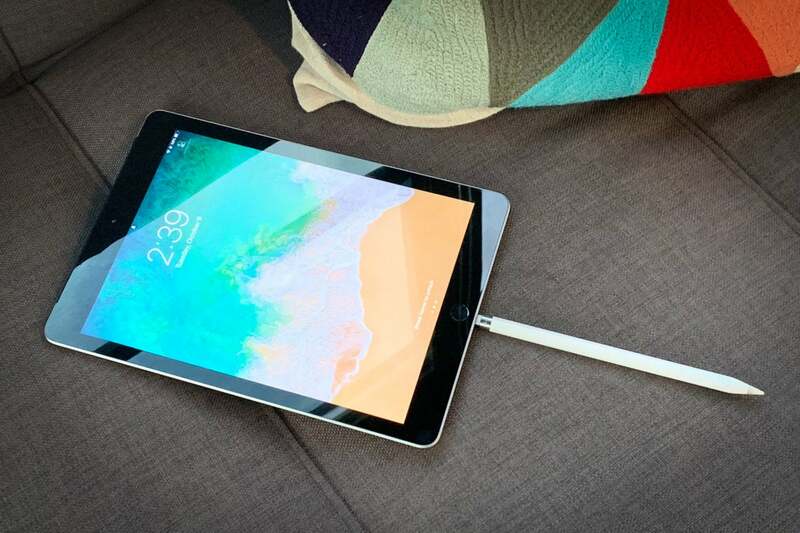 I’d love it if Apple could include some kind of slot for the Apple Pencil within the iPad itself, but I know that’s not likely going to happen. For one, it’d likely make the iPad itself too thick. For another, slots for objects like that are prone to getting dirty. (I constantly have to clean my AirPods’ case for that very reason.) But perhaps a magnetic slot? It could happen. Maybe. This, I admit, is a highly specialized problem, and one you’re not likely to encounter unless you have multiple iPads. 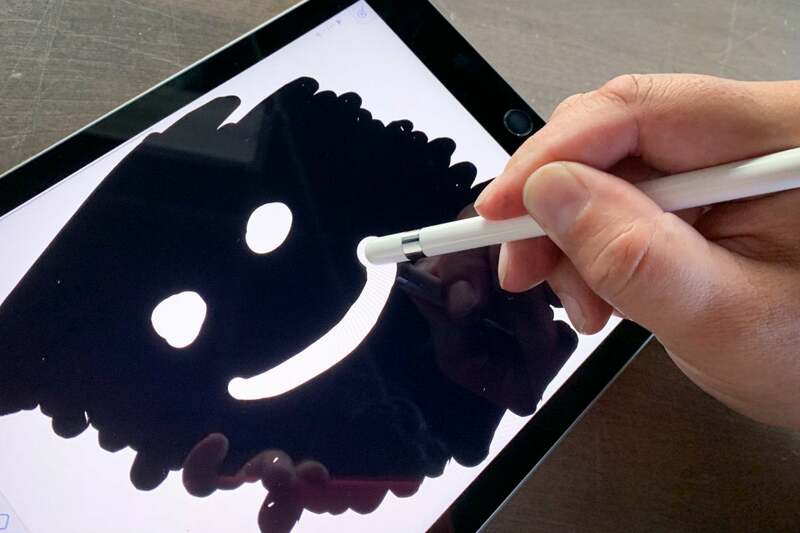 But it certainly annoyed me when I was testing latency differences between the new 9.7-inch iPad and older iPad Pros: I had to use a separate Apple Pencil for each comparison on each iPad, unless I wanted to go through the trouble of unpairing it every time. And never the two shall meet. There are plenty of cases in which it makes sense to pair a device to a specific iPad, but this seems excessive. I keep thinking of classrooms where a teacher might want to reach down and mark something on a student’s project with her own Pencil. But she can’t. She has to use the student’s. Specialized though it may be, we’re likely to see a fix. 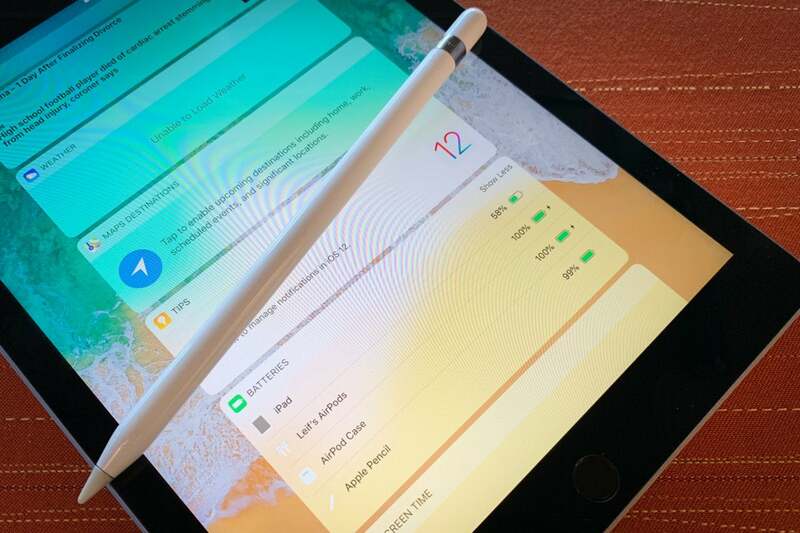 Monday’s report claimed that “Switching between devices will be possible without connecting the Apple Pencil to the charging port,” likely using the same rumored ability that lets you easily pair your Apple Pencil with an iPad. Did Apple make the iPhone 7 just to sell more Beats headphones?